Need the lawns mowed but don’t have the time or tools to do it yourself properly? Give Jim’s Mowing a call at 310-JIMS – We can often provide a same-day lawn mowing and gardening services if our schedule permits. A quick visit or the entire season! Whether you are after a one-off, quick mow before new tenants move in, some interim maintenance while you’re away on holidays, or more regular lawn-maintenance & gardening services, let us show you why Jim’s is the largest and most trusted Lawn Mowing and Gardening Service in British-Columbia! 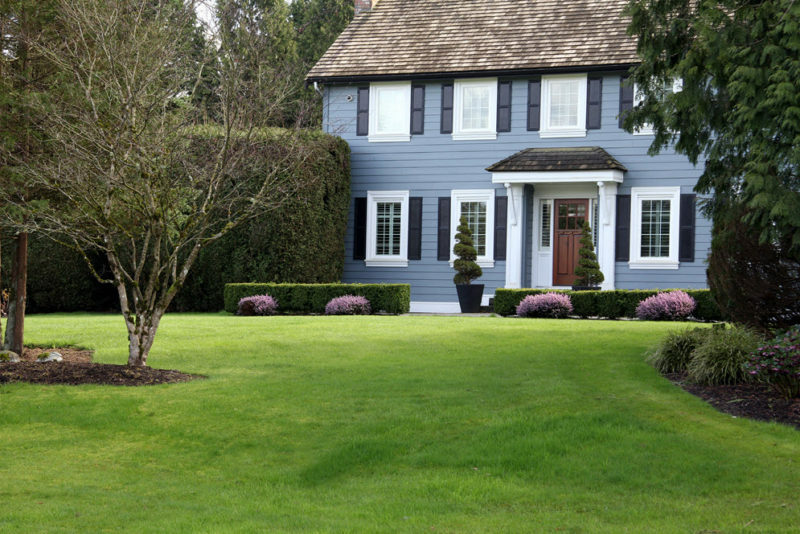 You will immediately see the difference a professional lawn cut provides with expert trimming and edging of your entire lawn, including around trees and garden features. For larger properties, we offer ride-on lawn mowing services and grass slashing for rural and industrial areas. For commercial properties and businesses, we can co-ordinate lawn mowing to be after hours or in the off-peak times for your businesses.